Through the integration of the Flare API and HyperSTE, the leading quality assurance software for standardized documentation, authors can now validate the language and terminology used in their Flare content. This ensures use of standardized vocabulary and style– improving consistency, eliminating ambiguity and reducing complexity. Furthermore, authors can ensure compliance with corporate terminology and style guide rules using advanced interactive checker and quality measurement features. More information on how the HyperSTE plugin can be used can be found in our press release or visit the Tedopres website. To request a trial license of HyperSTE, contact STE@tedopres.com. Tedopres HyperSTE 4.0, including a license and dictionary. A Flare project with topics to validate. Have MadCap Flare V9.1 installed and registered (or launched once). 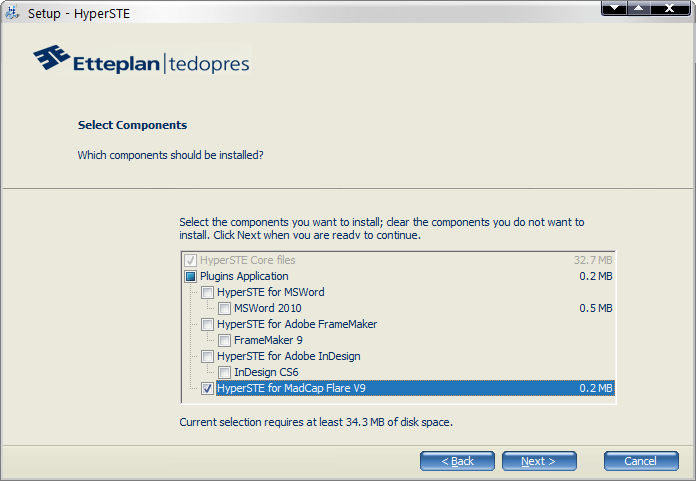 Install Tedopres HyperSTE 4.0. and launch it. Select “HyperSTE for MadCap FlareV9″ (and the other applications that you have a license for or will request one for). Don’t launch the license server. 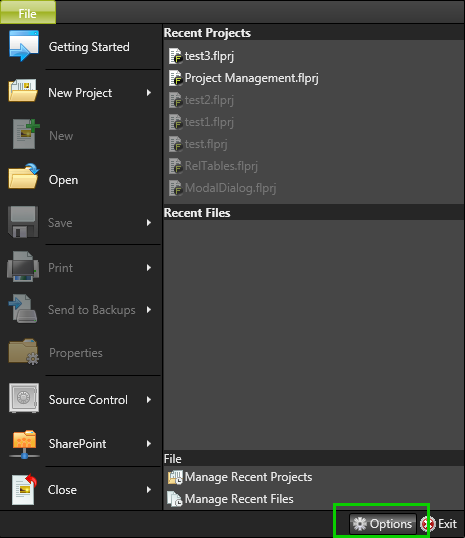 Launch MadCap Flare and open a project. Go to File | Options. In the Options UI , click the Plugins tab and enable the HyperSTE Plugin. Note: When you check a document for the first time, the HyperSTE plugin is going to look for your associated license. If you don’t have a license already, you’ll need to request one from Tedopres. To request a trial license of HyperSTE, contact STE@tedopres.com. When a license file is returned save it on to your machine. When the licensing UI launches, select “I have a license.” This will launch the HyperSTE configuration wizard. Click next and set up HyperSTE, filling out the information as needed. 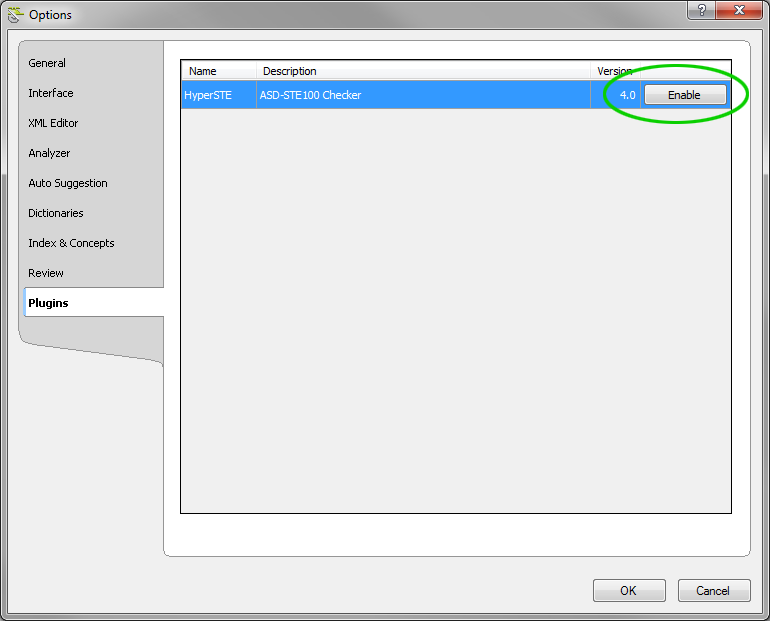 The required dialogs and fields are shown below. Browse for the V2C file and click next. Select a dictionary file (acquired from Tedopres). Open a project in Flare. Open the topic you want to validate. Go to the HyperSTE Ribbon in the Flare ribbon menu. 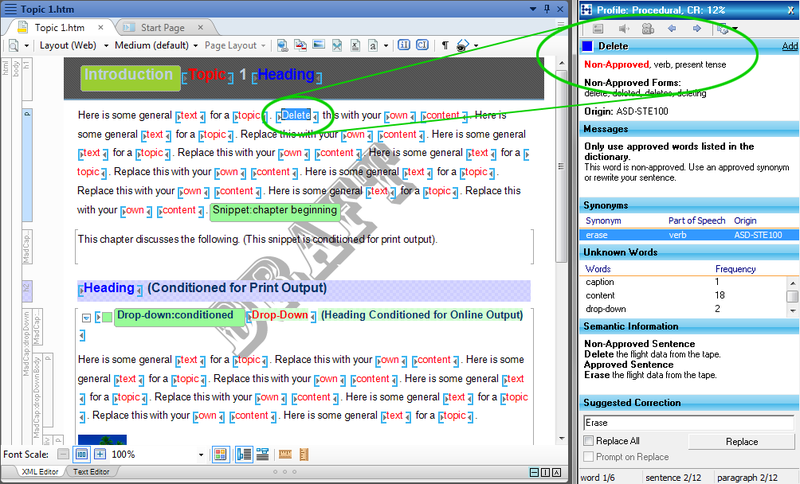 Click on highlighted words throughout the topic and notice the HyperSTE window explaining the terms and usage. Re your statement “If you don’t have a license already, you’ll need to request one from Tedopres.’ Is it free, or is there a cost for this license? Thanks for sharing. Is there an interface in this plug-in for us to manage terminology? Click the Add Word icon in the ribbon? Hi Dan! Yes, you can add words to the dictionary. This is a set of terminology that can also be customized during your initial setup with the client version of HyperSTE (separate from Flare’s integration). Please provide some more information concerning the dictionary. Does it mean that I have to pay for it? What is the cost then? If I have Flare 9.1 installed, can I create the dictinary on my own? Besides, can the HyperSTE plugin tell that I use a cirtain range of synonims across the doc instead of one word? 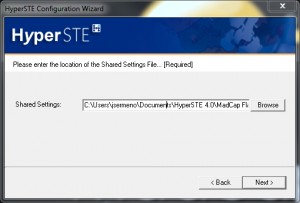 In order to use the HyperSTE plugin for Flare, you’ll need to have HyperSTE 4.0 installed on your machine. 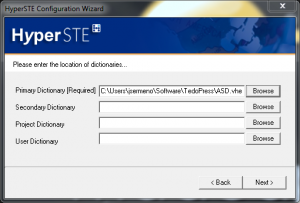 You can request a free trial of HyperSTE 4.0 as well as a dictionary from STE@tedopres.com . All questions regarding cost and functionality of HyperSTE 4.0 can be emailed to STE@tedopres.com .